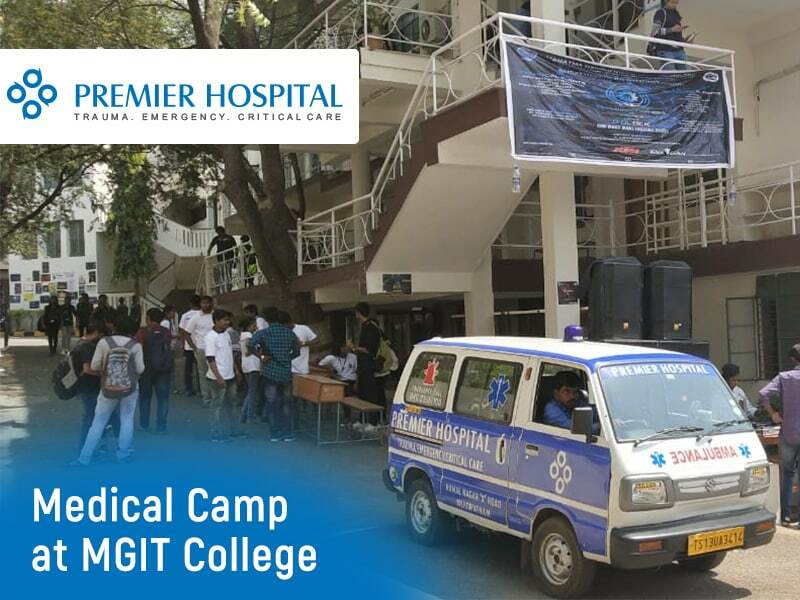 As a part of our efforts to facilitate basic healthcare accessible for all, we Premier Hospital organised a FREE Medical Camp at MGIT College, Hyderabad. The camp was organised with a sacred aim to bring awareness among the deprived population of the country to make sure all the people are getting the health check-up at the right time, and seeing the doctor as soon as possible before a small health issue turns to serious. At the medical camp, we provided basic treatment and general check up to bring awareness of their health status, by a team of doctors, nurses and lab technicians. Our health professionals, Dr. Saima and Dr Sarah has participated in the camp along with 100 -150 students and the camp was successful.